By now, you know where I stand when it comes to the whole “All-New, All-Different” endeavor. While I am excited in some of the books, for the most part, I feel like they’re neither new nor different, and that they generally fail at attracting the type of people they’re looking for: new readers. But I’m just a dude in Alaska who likely will read many of the new number ones. For Marvel, I’m not an important part of the equation. There are two aspects that are the most important to them in this endeavor – new readers and retailers – and I’ll be speaking with both of them today. First off, we’ll be covering the comic retailers who actually will be ordering these comics, and I reached out to several of them around the country (and beyond) to get a feel for how they’re feeling about the line, if they think they’ll sell, what books stand out, and more. Take a look below, and thanks to everyone for taking part. As a retailer, what is your initial reaction to the All-New, All-Different line Marvel is rolling out? Do you see that effort as something that will impact how much Marvel product you move in a significant way? 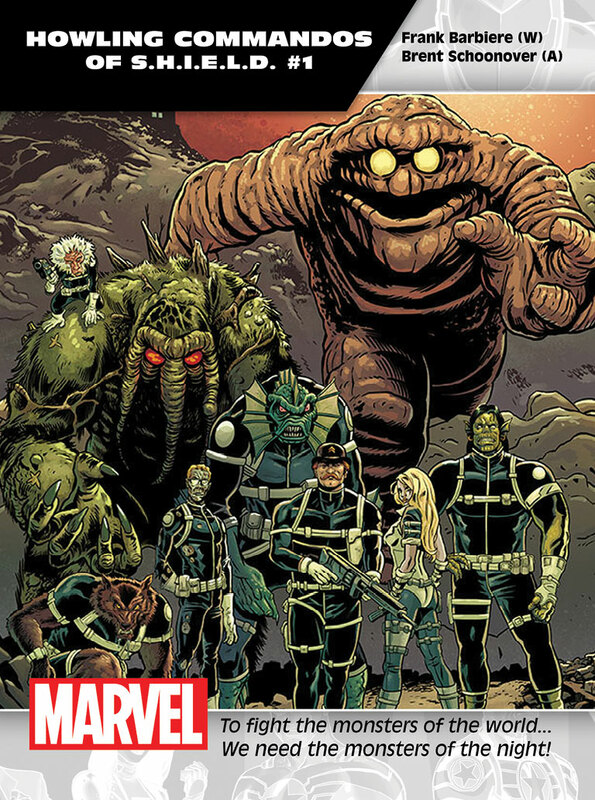 Patrick Brower, Challengers Comics + Conversation, Chicago: My first reaction, once I saw the actual All-New All-Different Marvel Previews book from this week, was, “Eh. Okay.” They’re not really breaking new ground, but they’re also not really going backwards. I think most of the books will start strong, but many of them will fall off quickly as people figure out what they really want to keep buying. Like DC’s New 52 from a few years ago, I expect a lot of people to sample most of the books…to start. Steve Anderson, Third Eye Comics, Annapolis, MD: Totally stoked about this. I think it’s good to offer readers this kind of jumping on point once every couple years, and some of the titles are downright amazing in terms of the creative teams involved. Ralph DiBernardo, Jetpack Comics, Rochester, NH: I am very excited for the All-New, All Different Marvel line. With each Marvel movie we have more and more new faces coming in, looking for product. This highly publicized relaunch will provide those new comers direct access to new content. Content that does not have a ton of baggage to go with it. You will no longer need to be “in the know” in regards to a characters origin or history. As Marvel and Disney continue to manipulate the comic universe to come closer to the movie universe, I finally feel like we just may see some permanent changes to the Marvel Comic Universe. In the past, I (have), as many customers (have), been very jaded about character death and replacement. Perhaps that is changing. Maybe we won’t see Steve Rogers as Captain America again. Maybe Wolverine as we knew him is not returning. It seems that a lot of the things we once speculated would “absolutely come back” haven’t yet. If Marvel is attempting to line up both universes we just may be in for some very real and very permanent changes. That being said I can’t say, at this point, how this will change the amount of Marvel product I sell. In the end our total sales numbers of Marvel rarely fluctuate. People jump from title to title. There may be a 5% variance to this, but it’s going to take more than a bunch of new number ones to get people to spend more than they can afford. Comic collecting is still a budgeted hobby. Yes, an event like The Death of Wolverine may bring in more people but they usually stay for the event and leave. If Marvel’s push can bring in new readers, then we will see that increase. Regardless, Marvel always incentivizes retailers to bring in extra copies of new and important issues. Additional discounts, extra variants, freebies and more, Marvel does a great job of giving me a reason to bring in extra copies of a book they think has a shot. I’ll probably take a lot of flak for this but Marvel does a great job of making me extra money. It’s still up to me to order correctly (and I often don’t but that’s on me) but I can’t fault Marvel for not giving me the tools. What titles, if any, stand out the most to you as potentially great sellers? Are there any surprises in there that you think will do well? Brower: I’m most excited for DOCTOR STRANGE. That book is going to be amazing. I think Bendis’ INVINCIBLE IRON MAN will sells 3x what we had been selling on the character, so that’s good. I’m hoping EXTRORDINARY X-MEN can become a franchise book. AMAZING SPIDER-MAN will continue to do well and hopefully bringing Miles Morales into the main Marvel Universe will bump that book from medium to high sales. Oh, and I’m excited for Charles Soule on DAREDEVIL, for sure. I feel like there are some characters and creators missing from this list, but I’m sure they’re saving something for San Diego. Plus, this is only 44 titles of the 55 – 60 we were told to expect. Anderson: I think DOCTOR STRANGE has TONS of potential. The one to watch that may surprise everyone? Frank Barbiere on HOWLING COMMANDOS should be a breakout hit — it’s a perfect fit. And I’m pumped for Miles Morales Spidey! 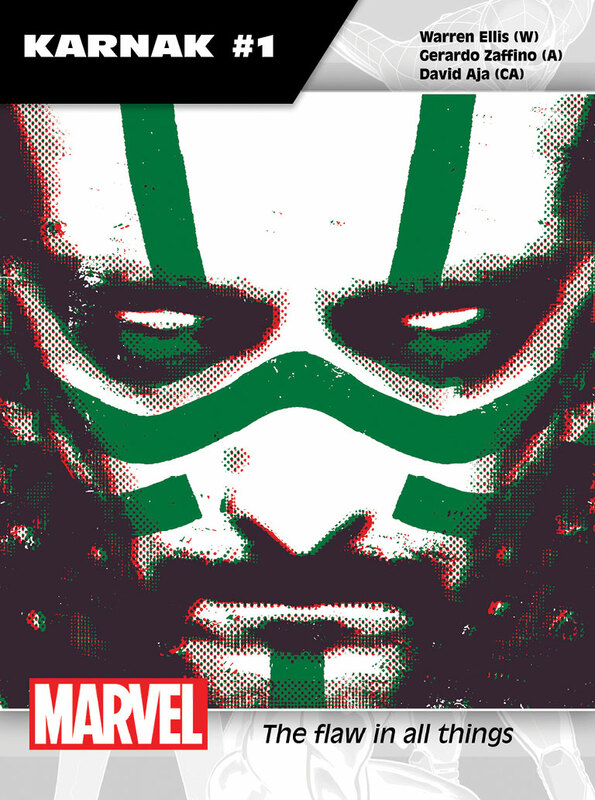 DiBernardo: With the success of CM Punk’s Thor Annual no comic shop should be caught short on Drax #1. 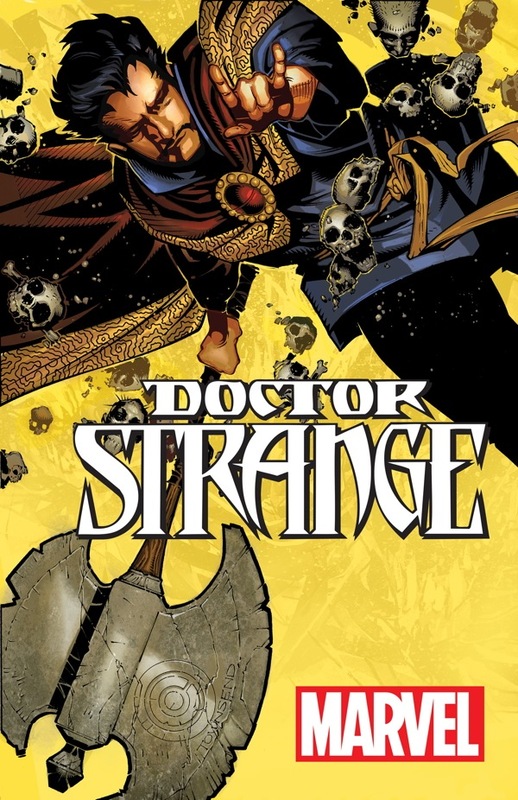 Jason Aaron has been on a tear so I expect Doctor Strange with an AXE to rule! Greg Pak and Frank Cho on the Totally Awesome Hulk is going to sell great. I can’t wait to see what the Illuminati has to offer. Josh Williamson is a great writer. Charles Soule Daredevil with Ron Garney art will be a must read as well. And KARNAK is my all-time favorite character because his power is so cool. Having Warren Ellis write him warms my heart…cause he’s not dead. Admittedly, some of the titles will start out selling exactly what the title they are replacing was selling. If the talents that be can get more people on board for their works, we will be ready. With DC rolling out 24 new #1’s in June and Marvel rolling out their laundry list in the coming months, do you feel there are two many #1’s on the market right now? Does that make it tougher on your end to interest readers when everything is new? Brower: Honestly? I think they’re used to it at this point. No pun intended, this is nothing new. It may be more at once than we’re used to, but this is the new normal. I think that may be why people aren’t so very excited anymore, because this happens all the time now. I can’t say I’m looking forward to doing the October orders, but we’ll figure it out. Anderson: More #1’s is better — always. I think that most comic fans are savvy and engaged enough to understand that #1 does not equal a a hard reboot of the character. I think most fans look at it very similarly to the way that folks might look at a new James Bond film, or a new season of Doctor Who. Do the original movies, shows, or comics add to the character? Yes! But, do you have to go all the way back and explore those before jumping in? Not at all. But having that #1 helps signify: it’s cool, c’mon in — this is a good place to begin. Anything that gets more people reading comics is a good thing, and that’s what initiatives like this and DCYou (which has been very well received here as well) offer. DiBernardo: At this point the comic collecting crowd is used to wading through a myriad of first issues. Anyone that’s been into it for the (past) five years knows that they have to stop and look at what the new #1 has to offer. In the 1980’s I had a place on our sub form where you could sub to all first issues. That day is long gone. People know that a first issue isn’t what it use to be. There was a time that a first issue meant a lengthy commitment by a company to a title but not anymore. I used to think that repeated number ones could be jumping off points for long time readers but they are not. For fans of the characters it is just the next issue they want to read. For new readers it’s a great place to get on board. The comic industry is in a great place right now. It’s a wonderful time to be a comic book retailer. It’s a great time to be Marvel and DC. In each case we all just want to extend that time far as long as we can. We’ve all been through the ups and downs of the business. Another down is coming. It has to. If Marvel and DC can put that down off longer by trying new things and mixing it up, I am with them 100%.